The story has been told for years that the Iron Horse Classic was started by a bet between the Mayer brothers. We'll here's the rest of the story. It wasn't snowy as shown here, but I shot this photo around that time and shows the perspective view as I started. a few places where I would see the train again. The new highway wasn't there then. The 7% grade up Shalona Hill was always a good warm up. Of course the scenery was as spectacular as ever. I don't remember having to push a hard pace. Of course the two passes took some work. I was in great shape and could just enjoy the ride. After 40 years, I don't remember a lot of the details. It was just another ride, though probably my favorite. Little did I know it would become the famous race that it is today with thousands of riders from all over the country and the world. Engineer Mountain -Coalbank Pass is to the right of the peak. I do remember arriving in Silverton well ahead of the train and standing there waiting for Jim to arrive. He was surprised I had beaten him. He said, "Ok, who's pickup did you get a ride in." I assured him I had ridden the whole thing. He wanted to take me to lunch, but I didn't want to cool down so I continued my ride by going up to Howardsville and Eureka (old town sites). I don't remember much about the ride back, other than I was feeling the sections where I had to climb and that I did follow the train all the way into town and then rode the 10 miles back home making it about 110 miles. 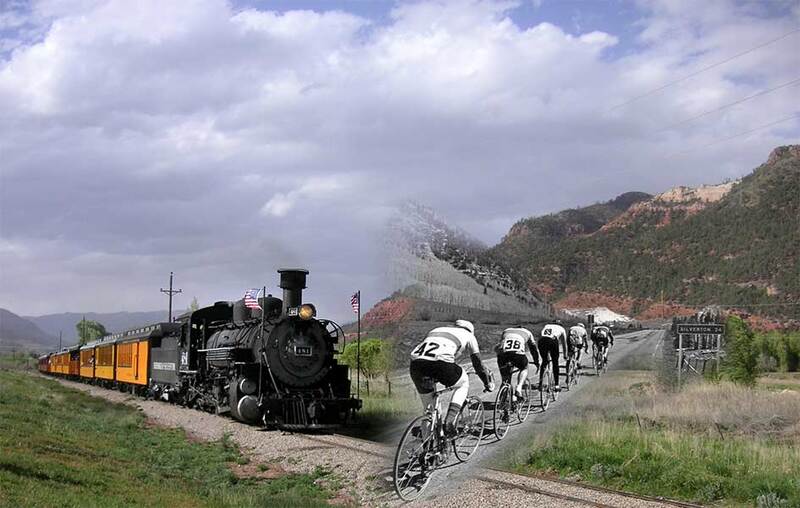 While I lived in Durango, I had tried to get others to ride to Silverton with me. I had gotten a small bicycle club going, but 20 miles was about the limit for them. 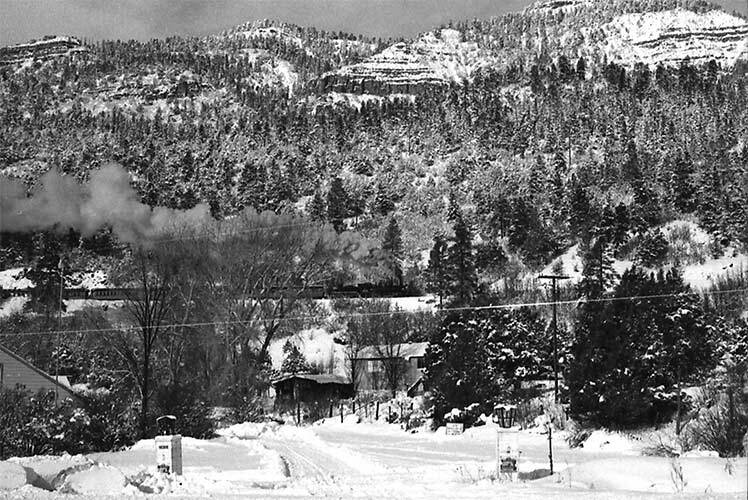 In 1972 I was living in Albuquerque, but still made trips back to Durango. It occured to me that the way to get others to try my favorite ride was to put on a race. I guess I checked with some of my friends and they were interested. I went to the Highway Patrol in Durango and laid out my plan for the race. To say that I was met with immediate resistance would be putting it mildly. It was more like "A race on the Silverton highway! No way absolutely not! We're not going to have that. It's too dangerous... blah blah blah. I wasn't going to give up that easily. I went to my friend Ed Zink, manager of the Outdoorsman, a prominent outdoor shop. I knew Ed could be persuasive. He said, "Well, let me talk to them." There's more to this part of the story that I didn't learn until this year. I'll fill you in on that later in the story. So Ed was able to convince them how much benefit this would have for Durango. Once we had the okay, I went to Silverton and went around to various shops and stores and ask for donations for prizes for the race. The only prize that we had that was bicycle related was a small sculpture of a pennyfarthing or high wheeler bicycle. The rest of the prizes were things like jewelry or knickknacks. Rick Scarborough owned the Iron Horse Chuckwagon in Silverton and donated free lunch to anyone who beat the train. I don't remember much more of the details, but I do thank those who volunteered to help to make it all come to pass. So I put out the word to my racing buddies in Albuquerque, Phoenix and Tucson. Someone else said, "I know some people in Denver. I can call them." Another knew some in Salt Lake. And of course we had riders from Durango. I think the total that first year was 36 riders. Only five of us beat the train that year, but that was because we started late due to a mud slide or rocks on the tracks. As I recall, we had to wait at least a half hour. 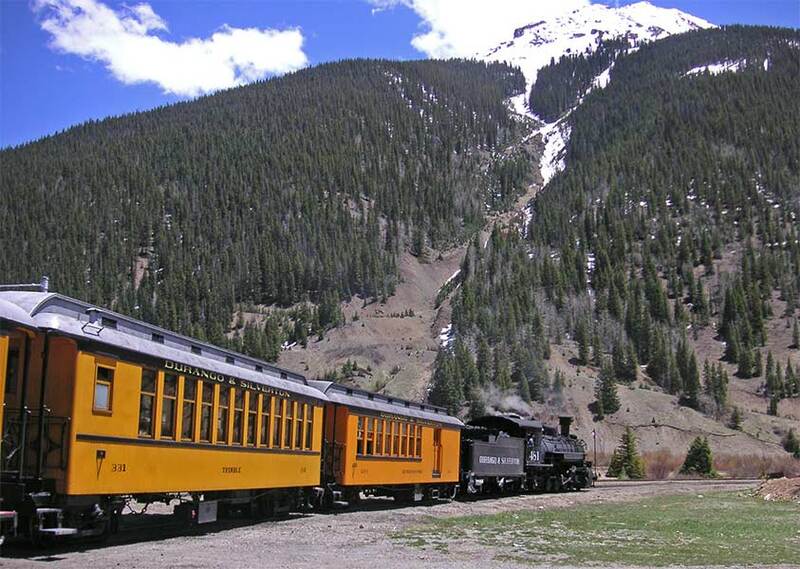 We also rode along with the train for a about a mile going up the Animas Valley until the engineer blew the whistle and we took off. Up around Shalona Lake some rail fan put grease on the tracks. The train crew blamed us and decided to get even by coming into Silverton on schedule. 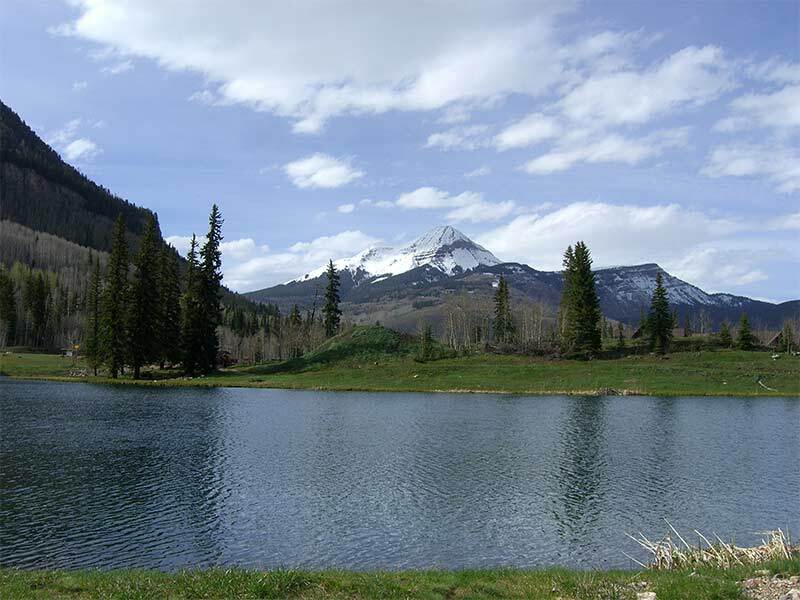 According to an article from the Durango Herald May 30, 1972: "The senior race to Coal Bank Pass was divided into the open and the ABL of A divisions. Mike Elliot and Ed Kautz easily won their divisions. Behind Elliott in the open division came Tom Mayer and John Anderson. "